Wireless broadband and IoT devices manufacturer, Gemtek has developed a new LTE-M IoT Tracker based on Sequans’ Monarch LTE-M/NB-IoT Platform. The new IoT tracker was on display at Mobile World Congress 2018 in Barcelona earlier this month. The Gemtek LTE-M IoT tracker is a compact device that can be placed into pockets, luggage, vehicles, or other assets and can monitor the location of those assets 24 hours a day. In addition to LTE-M, the tracker includes GNSS, Wi-Fi indoor positioning, and interfaces for USB charging, and one-button SOS. The new Gemtek tracker can be used for many applications including emergency button, IoT button, vibration detection, as well as tracking of people, pets, and assets. 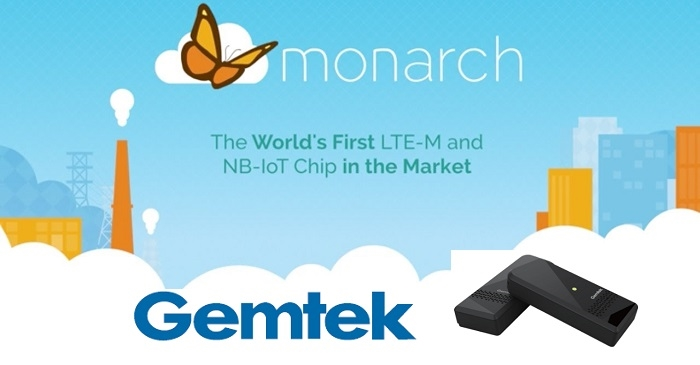 The Gemtek IoT Tracker is based on Sequans’ Monarch Platform, the world’s most highly optimized LTE-M/NB-IoT chip.